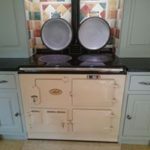 For Aga, and all cast iron units, such as Everhot, Rayburn, and Esse, we use a gentle but extremely thorough steam cleaning system. 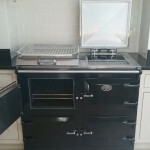 Attention goes into every detail, and the ovens look great when finished; shiny from the inside of the hob lids right down to the door hinges. We pride ourselves in our meticulous attention to detail. Our system is unique; we don’t have to rely on a vehicle-based soaking tank. We don’t keep going out to soak oven parts. Our method is safe for children and/or pets, and for properties where there is septic tank drainage.